We finally reached our long awaited dream of inaugurating and opening the Casa for service. On November 10th, we had a beautiful ceremony and people from near and far who have been an integral part of the Casa came to celebrate this beautiful day. Our general director Dr Erica came from the US along with her sister Monica who is our financial director. Pastor Immer and Shirley (director of missions) came as the representatives from Christ Wesleyan Church, our church sponsor in the US. My parents also came as a huge surprise to me!! They were here for my birthday as well as the inauguration, and it was so fun to show them around San Juan. It was so beautiful for me to see so many people come and to have those who came such a long way from the US here to celebrate this day that we worked so hard to achieve. We have begun our prenatal clinic services at the Casa and are receiving new patients each day. Although we are still attending actual births in-home, we are excited that beginning 2017 we will be able to start attending births at the Casa. Lesbia and I work with our three birthing assistants (Joel, Wendy, Johana) who come on a rotating basis. We are getting down a smooth system as we work out all the details with administration, documentation, etcetera. We are so fortunate to have Merlyn as a wonderful and very detail-oriented director of administration. It has been wonderful to also have Kennet in town these days helping with on-going projects such as the website creation, the kitchen plans and the outdoor lighting plans we have for the Casa, to name a few. Johana and I are learning how to use the ultrasound machine with Dr. Jes which is a huge blessing for us. We had a wonderful ultrasound donated to us and we are very thankful for this opportunity to be able to learn this skill and provide our patients with the highest quality of care. Normally the cost of an ultrasound in this area is too expensive for the average family to pay. We are now able to better detect problems which need referral to a specialist earlier in pregnancy, thus decreasing the risks of having complicated deliveries. 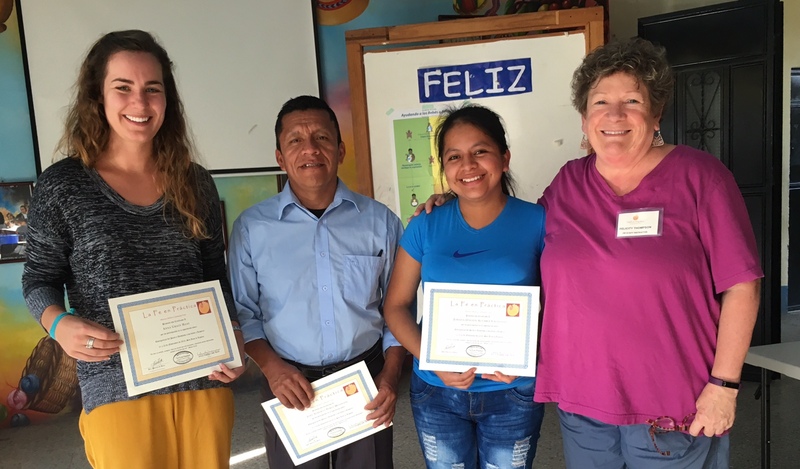 Last year, Lesbia and Wendy received a wonderful class on emergencies in childbirth and helping babies breathe from a midwife from the US who volunteers with Faith In Practice. 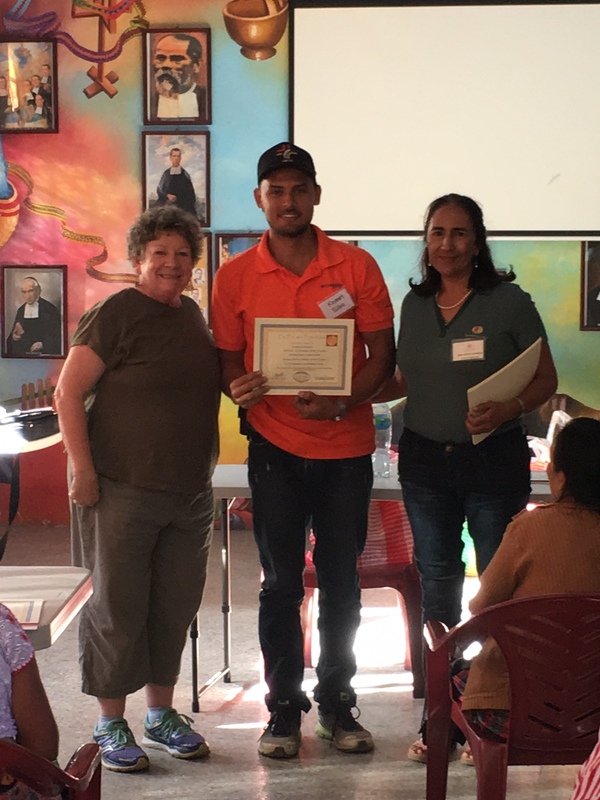 This organization travels all over Guatemala doing these trainings, since this country has one of the highest infant and maternal mortality rates. This year, they returned to our area and Joel, Johana, myself, and Kennet were all fortune to receive this class. Upon completion we received and entire birthing kit, complete with an Ambu. Praise God for His faithfulness in bringing wonderful people who are collaborating with us and helping us provide the best services possible! -Collaboration. We have potential for collaboration with other health care facilities in San Juan, so I am praying for smooth collaboration efforts and agreement as we navigate how and and in what ways we will work together to serve each other and reach more people. -Reaching the aldeas (remote villages of San Juan). One of our dreams is to reach the remote places that have no healthcare access. Many of the families that live here have many children and their parents cannot provide enough food and clothing for all of them. They cannot afford medicine or any type of healthcare even if it were available to them, which it is no. Although we are taking steps to reach these people now with education and bringing them to our clinic monthly, we first need a van as a means of transport. Our dream for the future is to have a Casa in aldeas. For now we keep praying and moving forward one step at a time. -Spiritual Ministry. 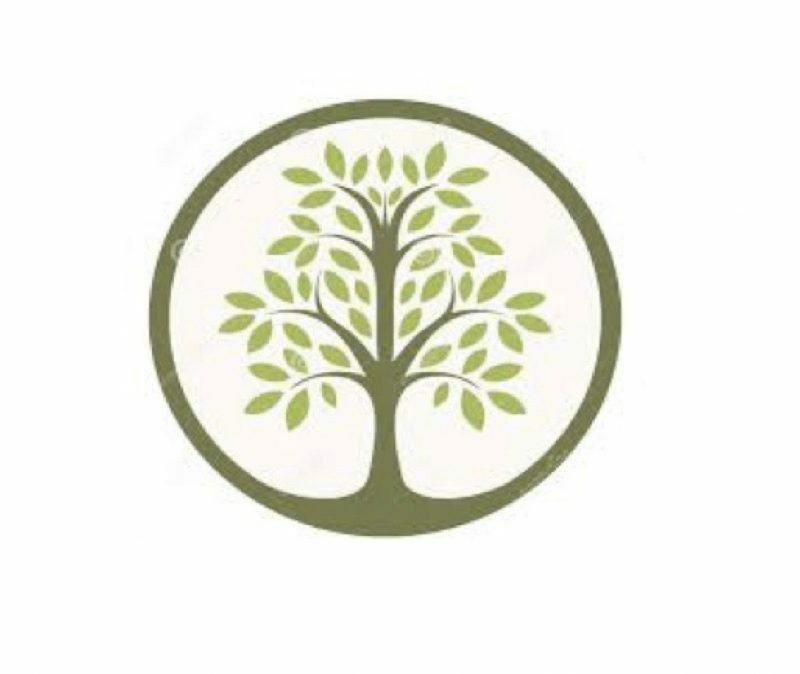 I am praying for our spiritual ministry to grow at the Casa. From my own experience with my friends here and with patients, unfaithfulness among spouses, domestic violence, alcoholism, and drug abuse. Previous Update from San Juan!